Elizabeth Lee Beck is a hard-nosed litigator with a track record of significant victories for her clients. She specializes in cases on behalf of severely injured individuals, investors, consumers, and small businesses. A graduate of Yale Law School and the University of California at Los Angeles (UCLA), she received her bachelor’s degree in pure mathematics with high honors. After Yale Law School, she practiced in Los Angeles at Quinn Emanuel Urquhart Oliver & Hedges, LLP  one of the top litigation firms in the world  where she represented clients including Samsung Electronics, KB Home, Mattel, and K-Mart. She also worked in the Compton office of the Los Angeles Public Defender. Since founding Beck & Lee, she has taken a leadership role in cases of national significance, including as co-lead counsel in a nationwide consumer class action against Unilever, and as co-lead counsel on behalf of indirect purchasers of airline tickets in a multidistrict antitrust class action against two major international airlines. 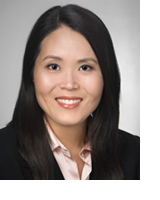 Beck is a member of the Korean American Chamber of Commerce of South Florida and has served as its vice president. She is a member of the Florida and California Bars.